Sociology is a relatively young discipline beginning roughly a century ago, with European founders such as Karl Marx (1818-83), Emil Durkheim (1858-1917), and Max Weber (1864-1920). Because of industrialization and urbanization, Europe was fast changing from traditional aristocratic and village (peasant) societies to middle class (bourgeois) societies. Increasingly there was a need to understand better the influence of industrial capitalism upon society and social solidarity, to understand the influence of these changes on economic, political and religious ideology, and to assess the processes of revolution, industrialization and urbanization. What was happening to the foundation of European civilization? Early American sociologists, similar to European sociologists, were interested in what was happening to tradition, culture, communities, and social institutions (e.g., family, religion, economics, politics) in a changing environment. Some were more interested in structural analysis and change, others more interested in processes and conflicts. All were faced with finding ways and methods of collecting information and developing theories to guide their research and help explain their findings. If early European and American sociologists were concerned with change in their communities and societies, we would expect the same for minorities such as the Mennonites. Mennonite roots began in Europe where sociology was born. As Mennonites found themselves moving from rural communities to urban environments, we would expect such a minority group to be concerned with separation, ethnicity, maintenance of community, conflict, urbanization, family solidarity, socialization, ideology and identity. While Mennonites were confined to rural settlements, struggling as pioneers to survive, non-Mennonites began to study them. C. A. Dawson studied Mennonites in western Canada as early as 1936. E. K. Francis began Mennonite studies in 1945 and published a book on Manitoba Mennonites in 1955, while Eaton and Weil also published a book on Hutterites in 1955. World War II scattered many Mennonites as they served in alternative service camps and Civilian Public Service. Soon thereafter many trained as sociologists. In 1941 Winfield Fretz finished a PhD degree, and others such as John Hostetler (1954), Paul Peachey (1954), Calvin Redekop (1954, 1959), Leland Harder (1954), Leo Driedger (1955), and J. Howard Kauffman (1960) completed graduate degrees in sociology in the 1950s. Since then many more Mennonites have taken degrees in sociology and study of Mennonites has now continued for about 40 years. A major review of more than 100 publications about Mennonites, written by 50 different scholars, in an article by Driedger and Redekop (1983) gives bibliographic details that are omitted in the present summary. A review of the major works shows that sectarian research has by and large given way to intersystemic and conflict research, reflecting the prevailing theories of the day. Almost all of the studies reviewed concern themselves with isolating the basic features of the Mennonite community. Winfield Fretz was the first Mennonite to publish a volume on the rural Mennonite community (Pilgrims in Paraguay, 1953). John Hostetler followed with volumes on the rural Amish (1963) and Hutterites (1967) in North America. It is not surprising that the first Mennonite scholars would concentrate on rural communities using mainly in-depth qualitative and ethnographical methods. Surprisingly, no community studies in the traditional manner which approach the thoroughness of the Lynds, Dollard, Warner, Redfield, Loomis, and Vidich and Benson have been done on Mennonites in North America. E. K. Francis clearly led the way in the ethnic research of Mennonites, beginning in southern Manitoba in 1945 and culminating in his volume In search of utopia (1955). Francis used the study of the Mennonite community to generate ethnic theory which has stimulated sophisticated work comparing Mennonites with numerous other groups. These studies have exposed Mennonite research to the broader sociological arena, because increasingly they have dealt with general sociological issues of solidarity, boundaries, institutions, networks, identity and the like. 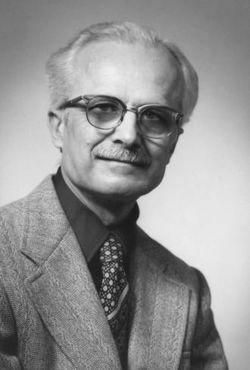 Calvin Redekop, stimulated by the works of Francis, led out in sectarian research with his dissertation in 1959, and his volume The Old Colony Mennonites (1969). The sect-church continuum of Weber and Troeltsch provided the focus for rural-urban, Gemeinschaft-Gesellschaft study, and the movement of Mennonites from sect to church-like characteristics. Concern with loss of community in the process of modernization and industrialization has continued to the present in studies carried out by Mennonites. While Anabaptists in Europe (especially The Netherlands) have been urban from the beginning, Mennonites in North America have moved to the city more recently. Paul Peachey was among the first to study this phenomenon (The church in the city, 1963). Since then Leo Driedger, located in Winnipeg, the largest urban concentration of Mennonites, has published extensively on urbanization of Mennonites. Studies so far have mostly documented the degree of urbanization. What happens to the quest for community when urbanization increases? The influence of modernization, the role of technology, and resulting changes need to be studied more. The role of socialization, identity, and formation of networks is an important part of this research. A whole new research agenda has developed. Qualitative ethnological and community methods of sociological research are increasingly supplemented by quantitative survey research. The most extensive survey of Mennonites in North America was done by J. Howard Kauffman and Leland Harder (Anabaptists four centuries later, 1975). Many others used their data; a supplemental survey was underway in 1988. Leland Harder also carried out three surveys of North American General Conference Mennonites in 1960, 1970, and 1980, and Leo Driedger and others conducted a national survey of Mennonites in Canada in 1977. A census of the Mennonite Church (MC) by Michael Yoder and a similar survey of Mennonite Brethren, updating the 1972 Kauffman/Harder study, were completed in 1982 and published in 1985. Survey research is increasing and numerous other surveys have been done. With increasing industrialization and urbanization of Mennonites in North America and Europe, more attention will be given to identity, socialization, social networks and social conflict. Such economic factors as the struggle for use of land in developing countries, will require more research. Questions about the place of Christianity in capitalism and communism are also opening up new areas of conflict. Questions of what it means to be a "remnant" in a changing world of poverty will likely lead Mennonite sociologists more to a study of social change and conflict in the future. Driedger, Leo and Calvin Redekop. "Sociology of Mennonites." Journal of Mennonite Studies 1 (1983): 33-63. Fretz, J. W. Pilgrims in Paraguay. Scottdale, PA: Herald Press, 1953. Francis, E. K. In Search of Utopia: the Mennonites in Manitoba. Altona, MB: D. W. Friesen, 1955. Hamm, Peter M. Continuity and Change Among Canadian Mennonite Brethren. Waterloo, ON: Wilfrid Laurier U. Press, 1987. Kauffman, J. Howard. "Report on Mennonite Sociological Research." Mennonite Quarterly Review 37 (1963): 126-31. Kauffman, J. Howard. "Toward a Sociology of Mennonites." Mennonite Quarterly Review 30 (1956): 163-212. Kyle, Richard G. From Sect to Denomination: Church Types and Their Implications for Mennonite Brethren History. 1985. Redekop, Calvin. The Old Colony Mennonites: Dilemmas of Ethnic Minority Life. Baltimore: Johns Hopkins U. Press, 1969. Toews, John E., Abram B. Konrad, Alvin Dueck. "Mennonite Brethren Membership Profile, 1972-1982," in Direction 14, no. 2 (1985): sp. issue, 3-89. Driedger, Leo and Calvin W. Redekop. "Sociological Studies." Global Anabaptist Mennonite Encyclopedia Online. 1989. Web. 21 Apr 2019. http://gameo.org/index.php?title=Sociological_Studies&oldid=161404. Driedger, Leo and Calvin W. Redekop. (1989). Sociological Studies. Global Anabaptist Mennonite Encyclopedia Online. Retrieved 21 April 2019, from http://gameo.org/index.php?title=Sociological_Studies&oldid=161404. Adapted by permission of Herald Press, Harrisonburg, Virginia, from Mennonite Encyclopedia, Vol. 5, pp. 836-837. All rights reserved. This page was last modified on 21 August 2018, at 12:34.